Lake Alice in Edith River in evening light. 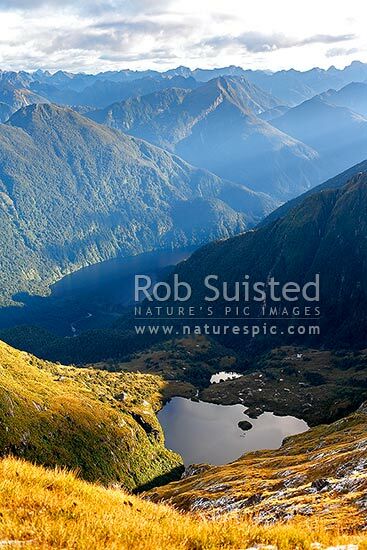 Glaisnock Wilderness Area in Fiordland mountains. George Sound, Fiordland National Park, Southland District, Southland Region, New Zealand (NZ), stock photo.